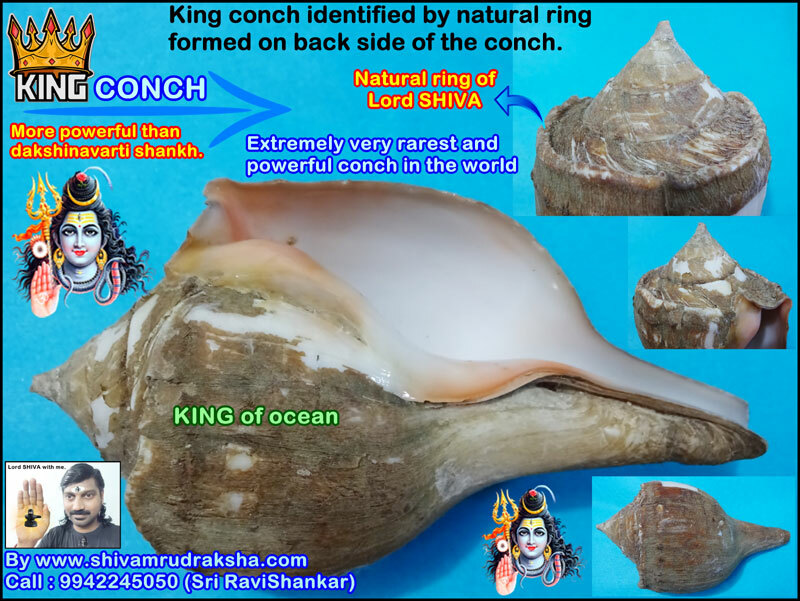 KING CONCH is extremely very very very rarest conch in the world and extremely very very very powerful conch than dakshinavarti shankh or valampuri sangu. King conch is identified by natural ring formed on the top of the conch. 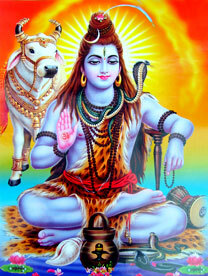 By keeping this king conch with us gives very good very high level positive energy and gives all round success. Politician can get very good popularity among the people by having this king sangu. 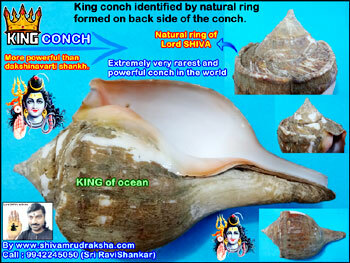 Even we can collect dakshinavarti shankh or valampuri sangu buy this king conch is very hard to collect.